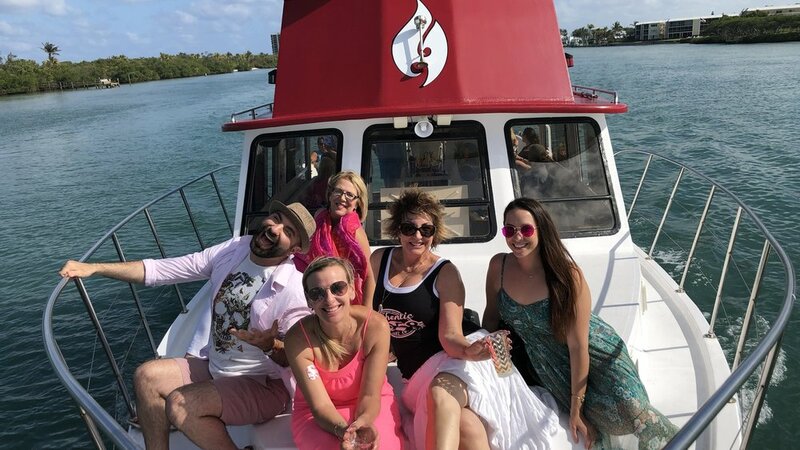 Sue Carlisle, a local realtor at Village Realty Group of West Palm Beach, recently celebrated her birthday with us by reserving the boat as a private charter. 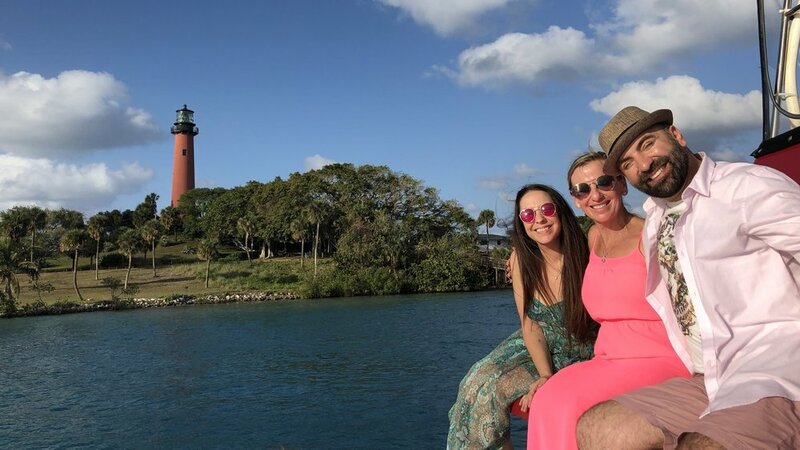 With Jupiter Water Tours, you can book a private charter for those special moments in your life; office parties, bachelor/bachelorette parties, wine tastings, holiday celebrations, birthdays or any reason you want! You get the boat all to yourself for two hours. Well, you and up to 29 of your closest friends! Just like the public tour, we still have snacks, soda and water as part of the trip but, you can also bring your own food and beverages... including the adult kind. Birthdays are always better with friends, especially when you're celebrating them on the Kyalami. Kyalami is a Zulu word that means "my home." And what better place to spend a birthday with friends than at your home on the water, Jupiter Water Tours. Sue and her friends and family were one of the most fun private charters we have had on the Kyalami. They made full use of their home on the water and had a wonderful time dancing the afternoon away to tunes using the bluetooth option from their phone to our onboard sound system. The group chose not to take advantage of the guided portion of the tour so the music started from the time we left the dock. The tour guide then turned into the host/MC for the party. They brought food and drinks aboard to enjoy on their trip along Jupiter Island. You could tell from the moment Sue's group arrived at the boat that this was going to be a fantastic time! And it was, from beginning to end. They ate, caught up with each other, joked, and shared stories in between the dancing. So much fun was had that she has booked another private charter with us and her Zoomba class friends. We can't wait! Want to join in on the fun? Book your very own private charter below!